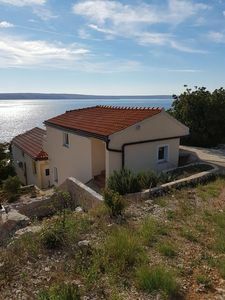 Polača 11 km from Biograd na Moru: 2-family house "this property". 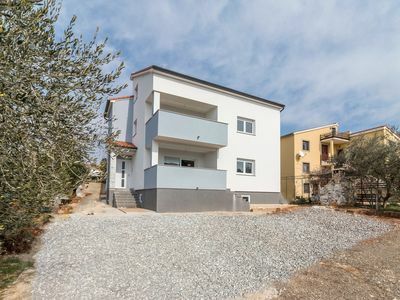 In a sunny position, 11 km from the sea. 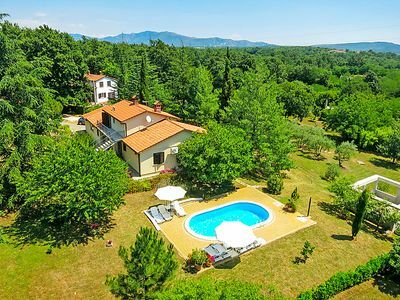 Private: property 250 m2 (fenced), swimming pool angular (8 x 4 m, depth 150 cm, 06.05.-30.09.). Outdoor shower, barbecue house. In the house: internet access, washing machine. Parking (for 4 cars) at the house on the premises. Shop 200 m, restaurant 11 km, pebble beach 11 km. Well-known lakes can easily be reached: Vransko jezero 18 km. 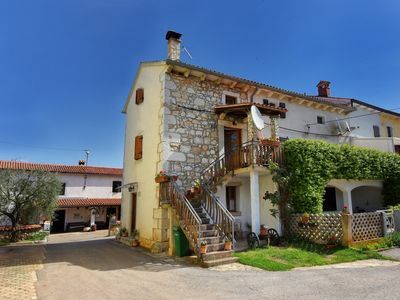 8-room house 240 m2 on 2 levels, south-west facing position. 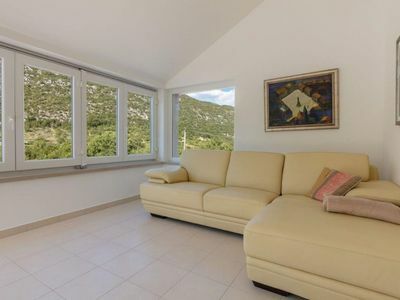 Living room 20 m2 with TV (flat screen), air conditioning. Exit to the terrace. 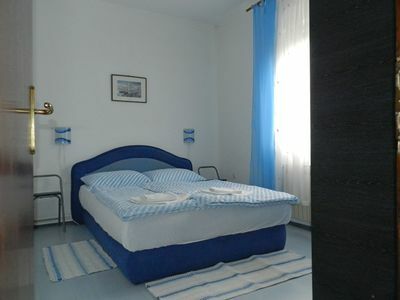 3 rooms, each room with 1 double bed (2 x 90 cm, length 200 cm). 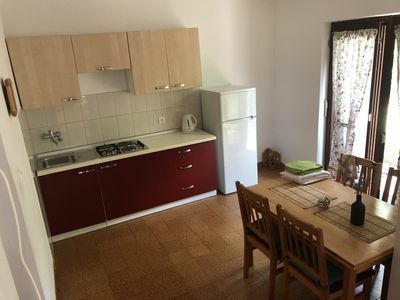 Kitchen (oven, dishwasher, 4 ceramic glass hob hotplates, freezer) with dining table. Bath/WC, sep. WC. 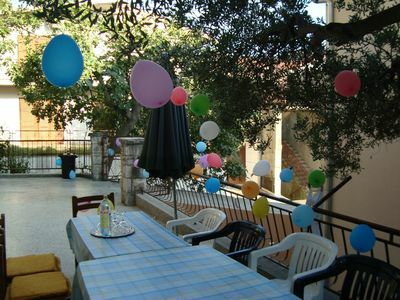 Upper floor: living/dining room 40 m2 with satellite TV (flat screen), air conditioning. Exit to the terrace. 2 rooms, each room with 1 double bed (2 x 90 cm, length 200 cm). Exit to the terrace. 1 room with 1 double bed (2 x 90 cm, length 200 cm). 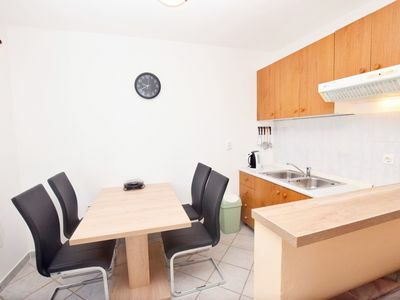 Open kitchen (oven, dishwasher, 4 ceramic glass hob hotplates, microwave, freezer, electric coffee machine). Bath/bidet/WC, shower/WC, sep. WC. 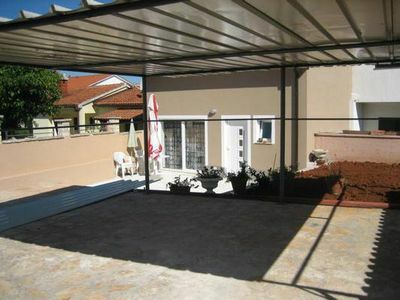 2 terraces 10 m2, covered. Terrace furniture, deck chairs. View of the swimming pool. 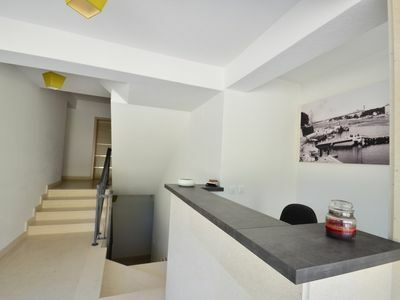 Facilities: Internet (WiFi, free). 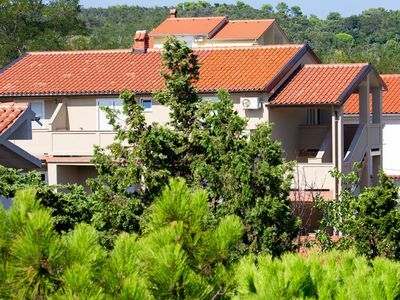 Nice and cozy studio:) 5 min walk from old renascence town, 3 min from beach.